How Do I Backup My Files if I Don't Have My Admin Password? How Do I Backup My Files if I Don’t Have My Admin Password? Backing up your files is very important, not only because it allows you to recover your data when disaster strikes your computer, but also because it makes it easy for you to migrate data to other computers (e.g. your netbook or tablet PC). However, it is often the case that you have limited access to a certain computer (e.g. your work PC) and this makes the whole backing up process cumbersome, if not quite challenging. Luckily, various software developers have found ways around this issue by having created programs that don't require administration privileges to a computer in order for them to run on it. In this article we will view one such program which allows you to back up all your valuable files in an easy and relatively straight-forward way. 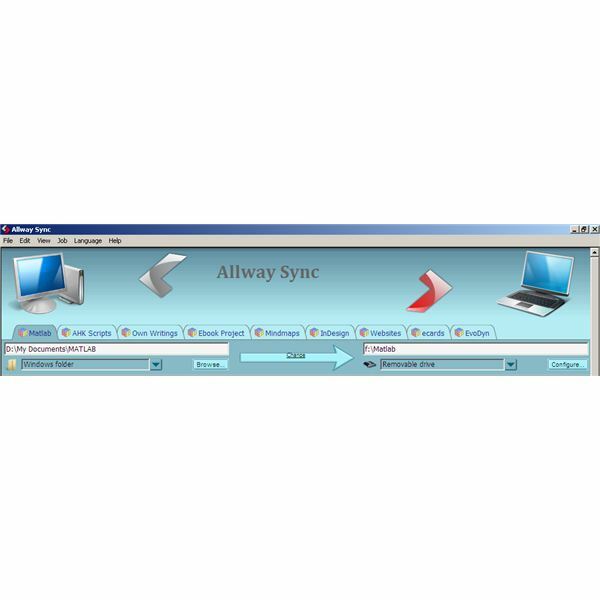 The program we recommend for this admin-free backing up is the portable version AllwaySync. This program, which you can download from the developers' website for free, is a very robust application mainly used for synchronizing files and folders between a computer and an external device or a server. However, with a very small change in the settings it can be transformed into a backup program and a very efficient one, for that matter. The main drawback is that it does not create archives of the backed up data, which is something that other backup programs do. However, it is usually easier to find and access a file or folder by using the backups created by AllwaySync. 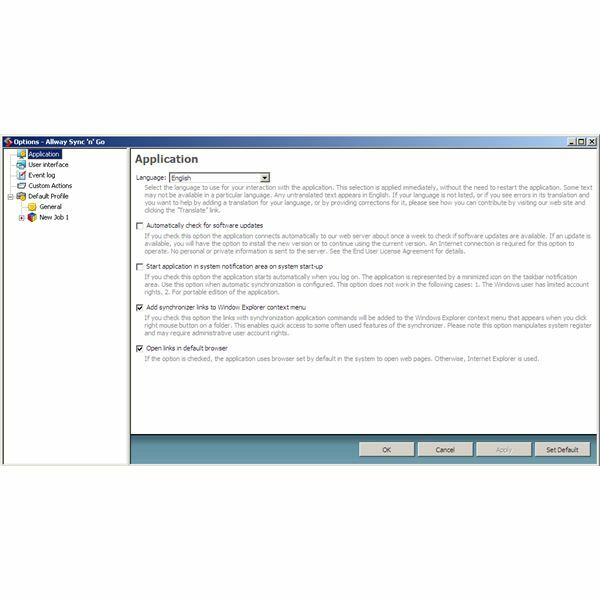 Once you download the AllwaySync installation file (for the portable version of the program), double-click on it to install the software on your PC. Then, select the option for accepting the license agreement and click on the "Next" button. Afterwards, you will be prompted for the folder you wish to install the program. Once you have selected a folder of your preference, carry on with the dialogue boxes and eventually click on the "Finish" button. Once you start the program you should see a welcoming screen briefly and then the main screen of the program (see image in previous section). The program has a variety of options which it is recommended that you look into before you start using it, in order to make your experience as efficient and as smooth as possible (see image below). Once you are satisfied with the program settings, you can start creating backup (sync) jobs. It is possible that you manage all your backing up needs with a single job if you configure it appropriately, however it is much easier (especially if you don't plan to use this program very often) to create multiple jobs. This is particularly useful if you don't backup certain folders very often. Therefore, by dividing your backup task into a series of separate jobs you speed up the whole process significantly. For example, you may want to backup only your documents. By assigning this to a specific job in the AllwaySync program, you tell the computer to look only into your documents folder and back up whatever needs to be backed up in there. Note that the first time you run this job it will take longer than the other times because it will copy everything, then every time after that it will only copy new or changed files. If you right-click on a job and select the properties option, you will see a screen like the one in the image below. Through that screen you can alter some of the job's characteristics, or add new ones. This sums up all the stuff you need to know to use this program. If you want to learn more about it and explore its various features, we recommend you take a look at the program's quite detailed help function. No backup is fool-proof. It's best to keep your vitally important files backed up in two or more places. For crucial documents, like your credit report or your bank statements, it's best to encrypt them as well. The external device you use should be far from your computer. Stephen Pressfield wrote in his book "The Art of War" how he always backs up his day's work on an external hard drive and puts it in his car, just in case. A solution like that might be extreme for some people, but it illustrates our point. An external device is usually preferable to online backup. Even if the online backup is in a reliable server, what will you do if your computer is stolen and you cannot access that server? How will you retrieve your backed up files if you are in a place without an Internet connection? Even though such scenarios are not very probable, often disaster strikes when you are least prepared. Backup is something that you ought to do regularly. Using a program like the one recommended in this article, the additional backups shouldn't take too much time as they are incremental. If you back up your files at least once a month, it could save you a lot of hassle later on. 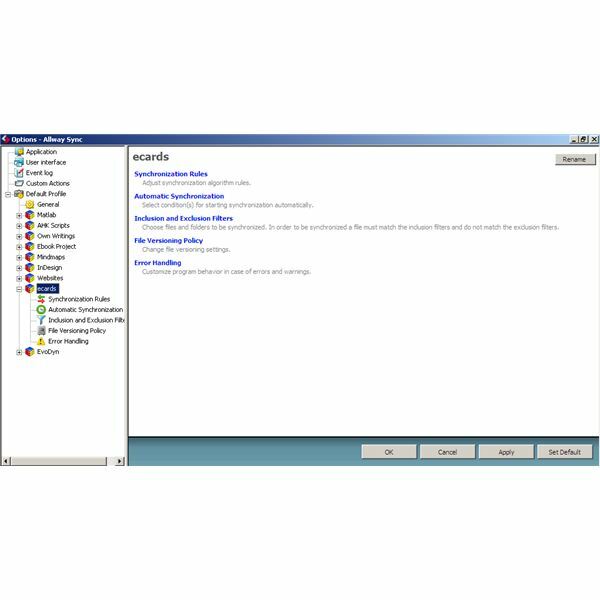 For additional information check out this article on backup alternatives for Windows 7 and Vista.